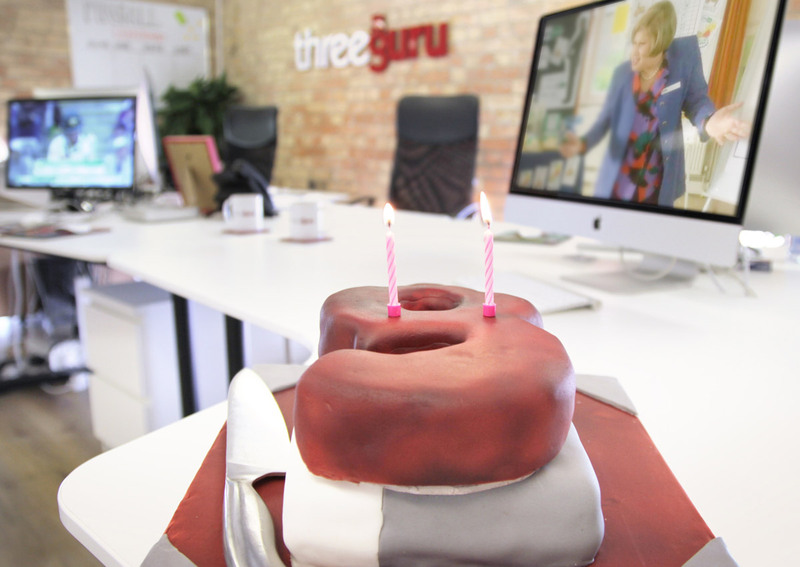 Creative agency threeguru flung open the doors to their Derby studio last Friday to celebrate the completion of their 2nd year in business. The occasion was marked with a get together at their Derwent Business Centre design studio, formally a Victorian bonded warehouse close to the City’s Cathedral Quarter and was well attended by clients old and new. 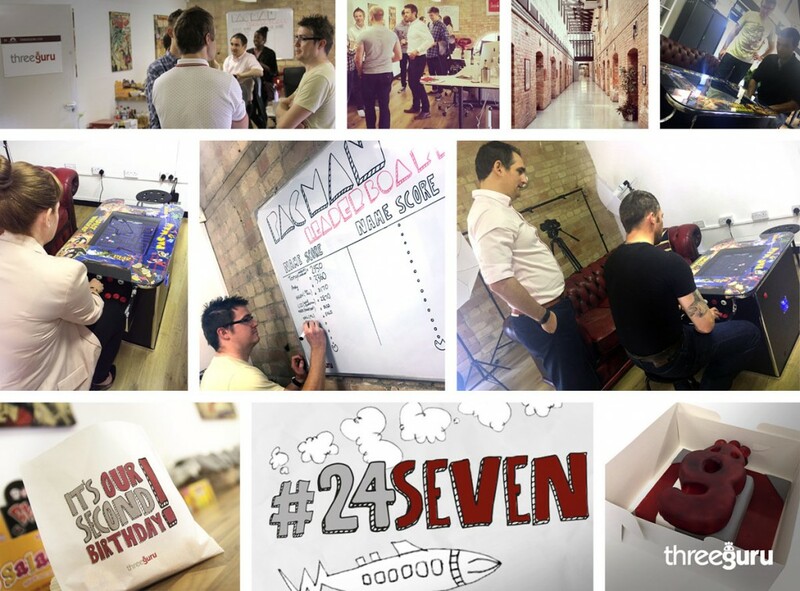 The ‘Get Together at Guru Towers’ was an opportunity for the creative agency and its gurus to flex their marketing muscles, show off their design portfolio and build a social media buzz around their big day with the creation of a new font, branded retro sweet shop and the introduction of their new meeting table – a classic 80’s arcade machine. Guru Towers Get Together – friends, clients and classic arcade from the 80’s! Threeguru was conceived after a chance meeting by three ex colleagues who all share the same passion for creativity and strategic marketing. In just 2 small years threeguru now has six full time and three part time staff and can count on Liverpool FC, Parson Brinckerhoff and Peugeot as part of a client base that now stands at 80+ local, national and global companies. Threeguru are a creative agency on a mission! We develop cost effective, well thought out, marketing strategies to maximise resources and deliver the best return on investment for clients across the full marketing mix.